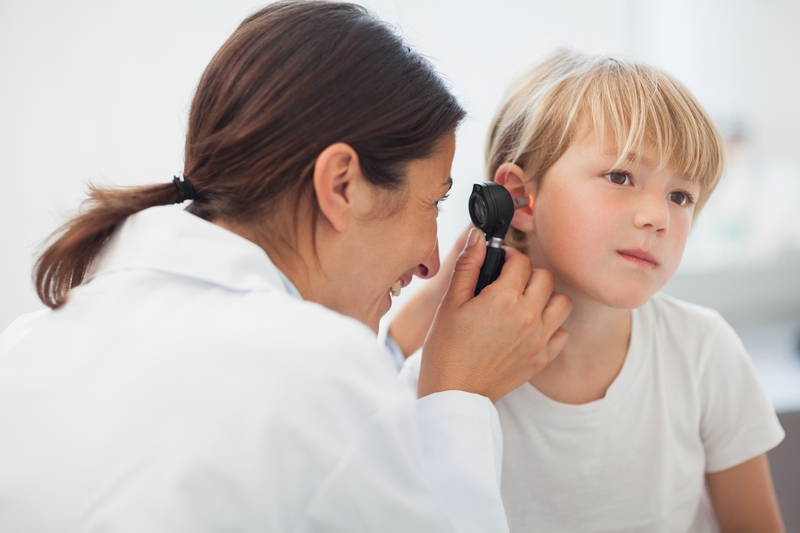 Children can benefit greatly from not only using ear plugs for hearing protection but also for swimming. Soft Silicone ear plugs have been specially designed for Swimming, bathing and water sports for anyone prone to ear infections or people who have been fitted with grommets. The ultimate in earplug comfort, Mack’s® silicone putty moulds to the unique contours of any ear. 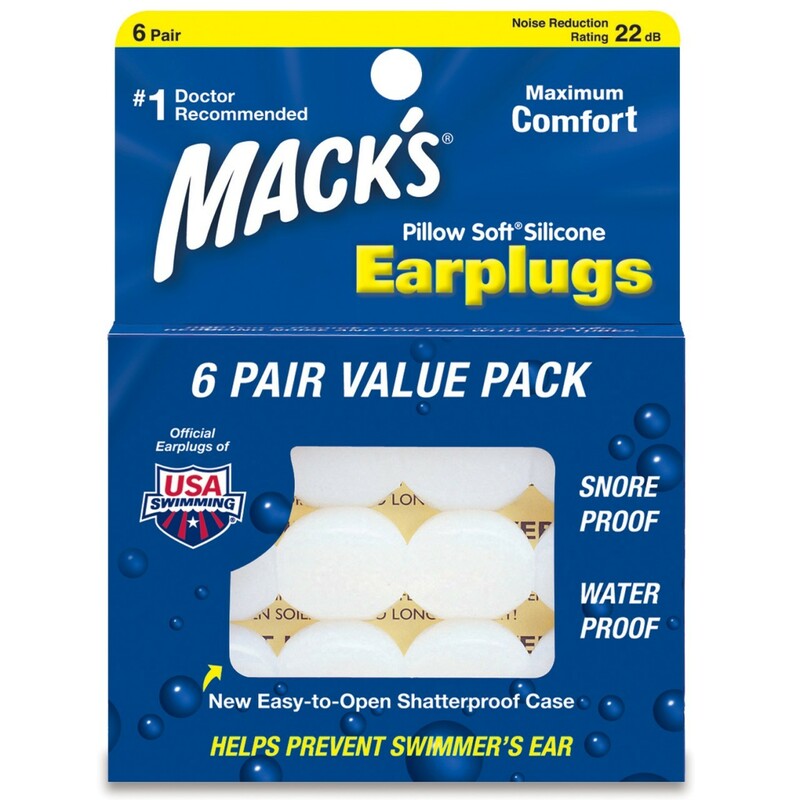 All Mack’s® Pillow Soft® silicone putty earplugs are doctor recommended. The First Ever Invented Mouldable Pure Silicone Ear Plug! Macks Pillow Soft were the first ever mouldable pure silicone ear plug, invented in 1962 and still the worlds number selling moldable earplug today, over 55 years later!! The earplugs were valued by swimmers, as well as those trying to avoid harmful noise, for their waterproof qualities. 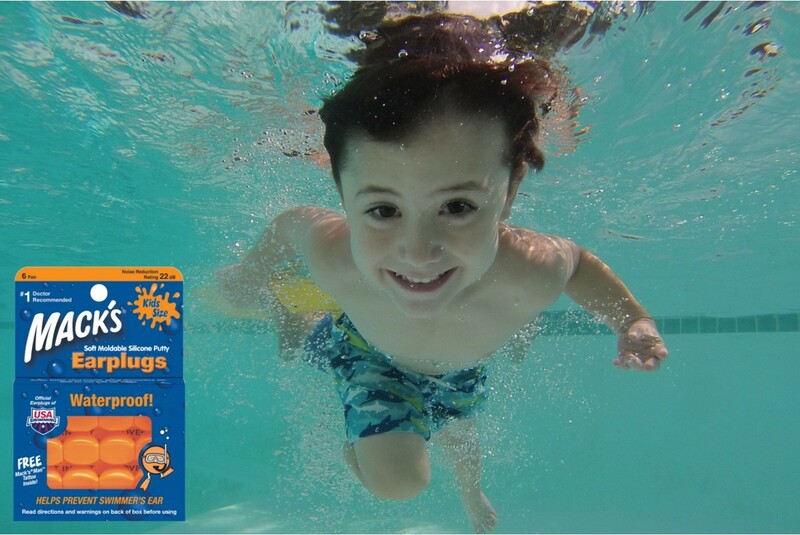 Children benefit from these best selling earplugs on a daily basis, not only using ear plugs for hearing protection but also for swimming. Macks Soft Silicone ear plugs have been specially designed for Swimming, bathing and water sports for anyone prone to ear infections or people who have been fitted with grommets. BRIGHT COLOUR – Fun for Kids and Easy for Parents & Swim Instructors to see. QUALITY – Made in U.S.A – Don’t risk purchasing inferier quality products! 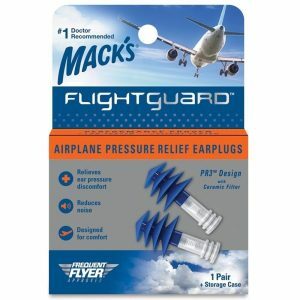 Macks Qulaity Ear Plugs are manufactured using only hospital grade soft silicone materials. 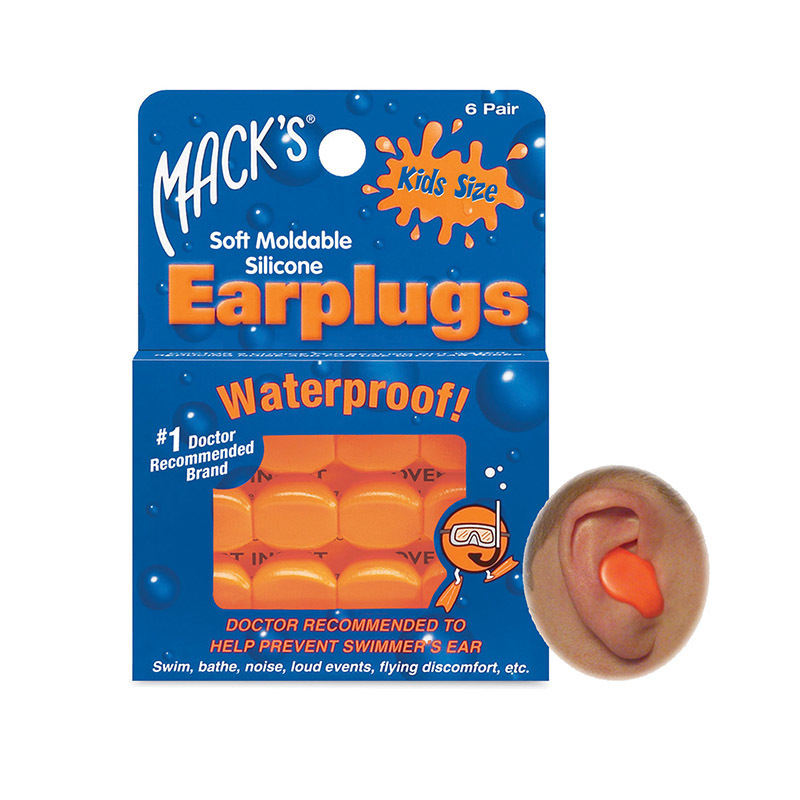 Perfect for little ears, these kids sized earplugs are the ultimate in earplug comfort, Mack’s® silicone putty moulds to the unique contours of any ear. 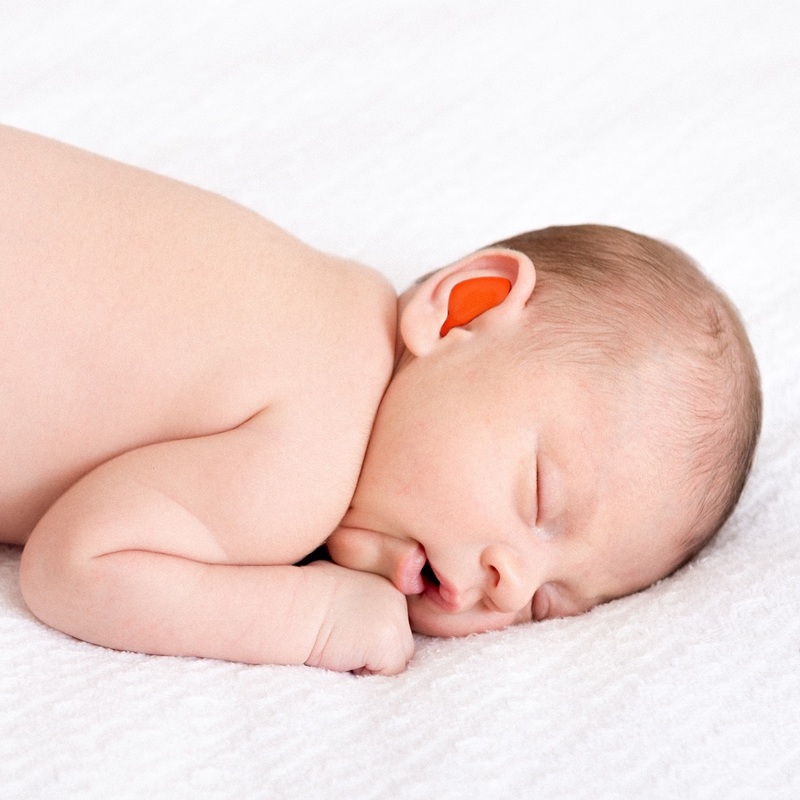 Quality earplugs designed for babies and children to effectively keep out water and protect their little ears from harmful noise. Larger and Safer than any Other Kid Size Earplugs on the market. Noise Reduction Rating: 22 Decibels (when used as directed). The range of noise reduction ratings for existing hearing protection varies from approximately 0 to 30 decibels (the higher the number, the higher the effectiveness from loud noise). Have been using these with our son for several years. He’s got tubes in his ears, which makes keeping water out pretty important. I tried the adult ones, both as whole and as half size, but these kids’ sized ones are better. You can get several uses out of each pair (if you keep them protected in a container, not tossed in the bag loose as the 9-year-old tends to do…. ), so one package can get between 20 and 30 swims. 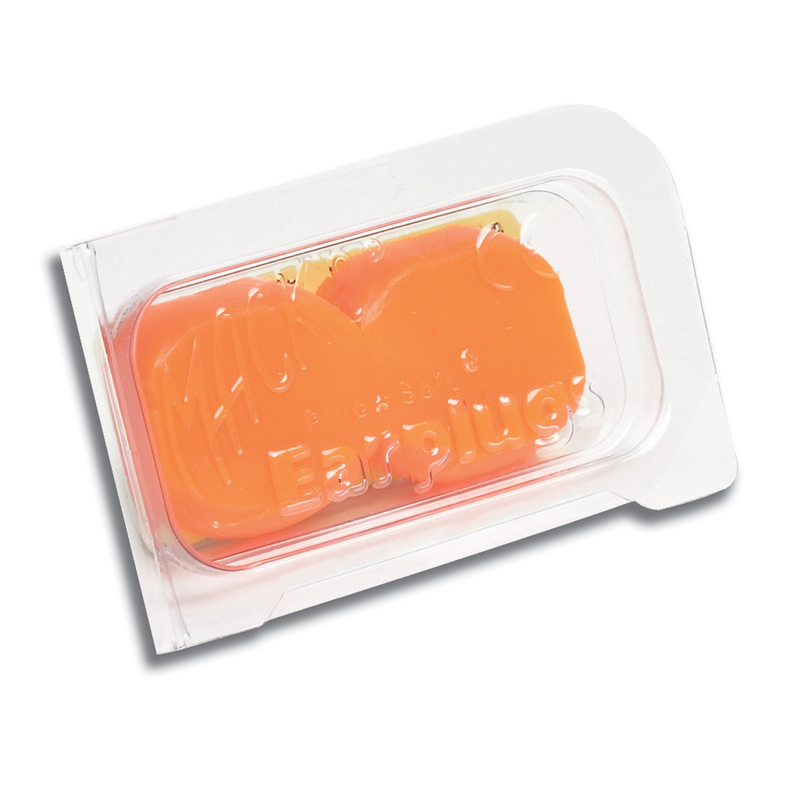 Macks Soft Moldable Silicone Putty Earplugs for Kids are also available in a 200 Pair Bulk Dispenser – CLICK HERE! Great product. Even keeps out loud traffic noise. My daughter recently had grommets put in. These are really easy to put in and work very well! No water gets in at all. We also bought the Ear Band for Swimming from Ear Store at the same time. It’s been great for keeping my daughters hair out of her eyes, especially when we do swimming lessons. I’d recommend both these products for little ones. This ear putty is perfect for my 2 year old and exactly what our ENT surgeon wanted for my toddler’s pool & bath time. 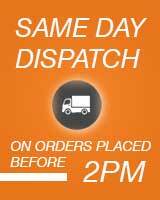 Fast delivery meant I had them when I needed them! My wife was really concerned that these ear plugs would not keep the water out. But they do & they are great! Thanks for the suggestion & good product guys. 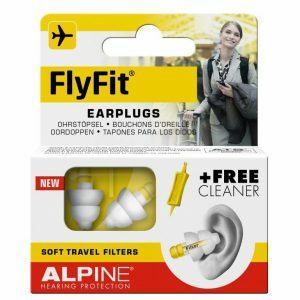 These ear plugs are easy to use, non-invasive and comfortable for our 5 year old. Multiple use is great! We won’t use another product. I’ve worn earplugs before but they always fall out. I thought I wasn’t putting them in properly or that they were too small for my ears. They sent me some different earplugs to try and one of them were the kids ones. I know they are for kids and for the water but I find these earplugs great for me and for blocking noise. Thanks for the recommendation, I’ll be back for more.